Jesus Christ. 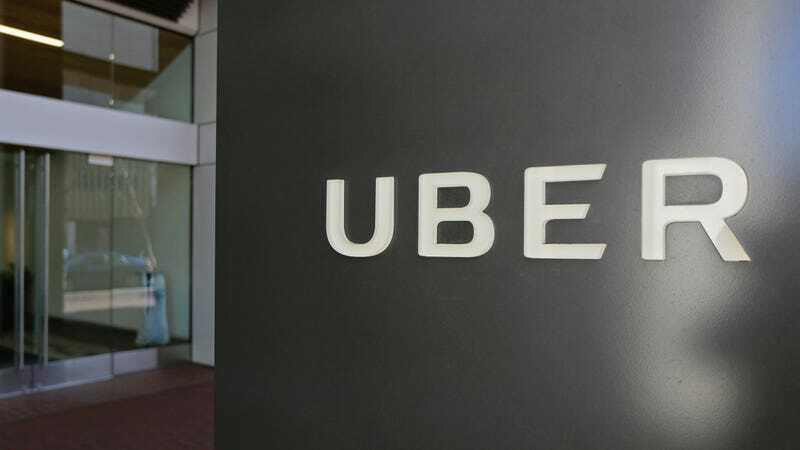 In a whopper of a piece published Friday afternoon by The New York Times, Uber confirmed that it designed a program to root out law enforcement officials investigating the company by denying them rides—in a bizarre, weird way. Uber’s always had dust-ups with regulators and municipalities for openly flouting taxi laws, but it particularly ran into issues when it launched its UberX service, as drivers for the lower-fare Uber were typically people who were able to pass background checks and vehicle inspections in a breeze. As a result, some cities have banned the service. Others have ticketed or impounded vehicles, a costly measure for Uber, which “generally” picks up the costs on behalf of drivers. So, the Times says, it began to use VTOS and Greyball. When Uber launched in a new city, a general manager would be used to “spot enforcement officers,” according to the Times. One method involved drawing a digital perimeter, or “geofence,” around authorities’ offices on a digital map of the city that Uber monitored. The company watched which people frequently opened and closed the app — a process internally called “eyeballing” — around that location, which signified that the user might be associated with city agencies. Other techniques included looking at the user’s credit card information and whether that card was tied directly to an institution like a police credit union. Enforcement officials involved in large-scale sting operations to catch Uber drivers also sometimes bought dozens of cellphones to create different accounts. To circumvent that tactic, Uber employees went to that city’s local electronics stores to look up device numbers of the cheapest mobile phones on sale, which were often the ones bought by city officials, whose budgets were not sizable. This is likely to renew tensions with the company thanks to its past ideas to spy on journalists and the like. Weirdly, the company basically admitted it was blacklisting law enforcement authorities in a testy statement to the Times. After a week that forced CEO Travis Kalanick to apologize after he was caught on-camera arguing with a driver, following accusations of rampant sexual harassment at the company’s HQ, this isn’t a good look. Anyway, check out the Times piece over your afternoon coffee. It’s a doozy. Do you have information about Greyball or Uber you want to pass along? Reach me at ryan.felton@jalopnik.com, find my contact info for Signal here, or send us a line via SecureDrop.